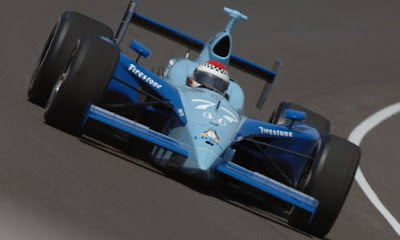 Those Linux saps who managed to convince some Indy car team to put a Tux the Penguin Linux logo on their car are nowhere to be seen these days. Reason? The Linux car bailed after 36 laps, finishing dead last in the race. See results here for Roberto Moreno in car #77. What a perfect metaphor for Linux itself. Loads of hype and then a quick fizzle. How long till these kooks resurface and declare that even though they lost, they actually won? Or that they would have won, except Microsoft ran them off the road? UPDATE: Word on Slashdot is that free software legal expert Eben Moglen is claiming that the Indy 500 itself now has been GPL’d. Affixing the logo to an Indy car constitutes “redistribution” under terms of GPL. Viral nature of the license means that from now on all Indy cars will have to bear Linux logos. Moglen says he believes the FSF can work this out amicably without going to court, but warns “the community will do what it needs to do in order to protect its freedom.” More on this as it develops.